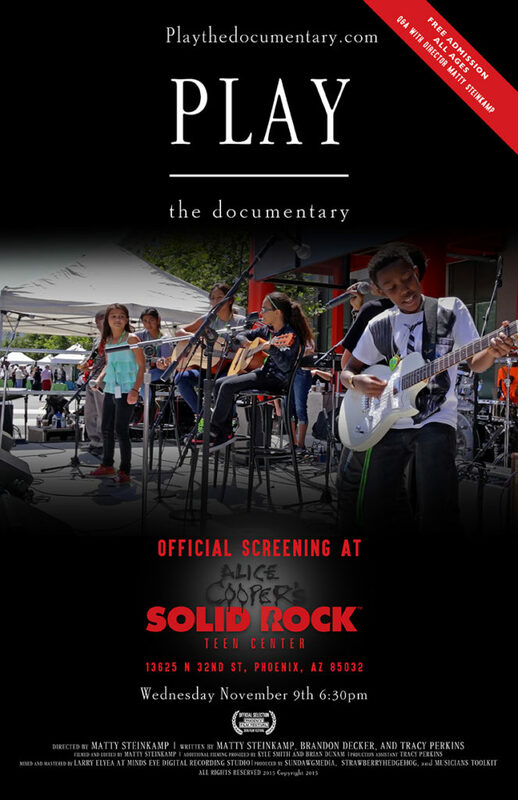 Alice Cooper’s Solid Rock Teen Center in north Phoenix will be hosting an Official Screening of Play The Documentary on Wednesday November 9th at 6:30PM. Families, educators, and teens are invited to come and enjoy a wonderful night of cinema. Admission is free and you are welcome to take a full tour of the newly built teen center. Seating is a first come first serve basis so make sure to show up a little before 6:30PM.